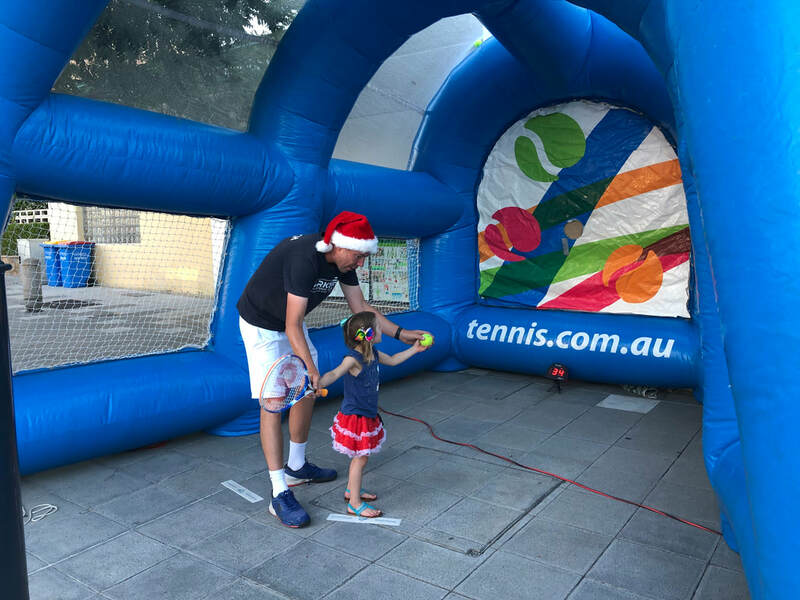 Even the two year olds get into the action! 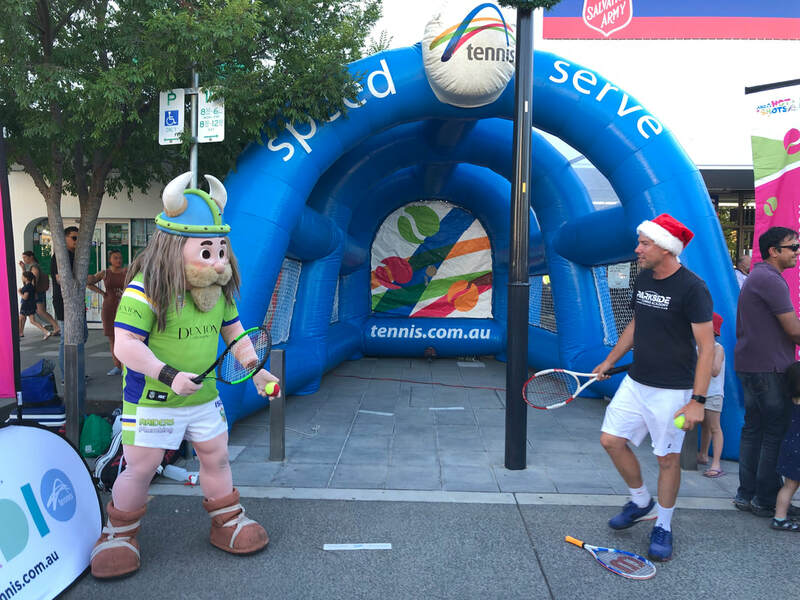 Even Victor the Viking had a go at Speed Serve! 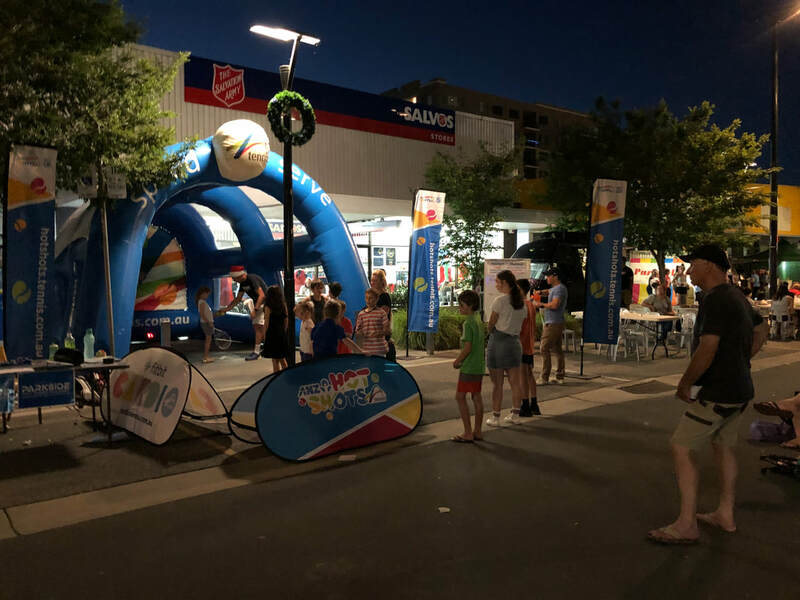 9 o'clock at night and still going! 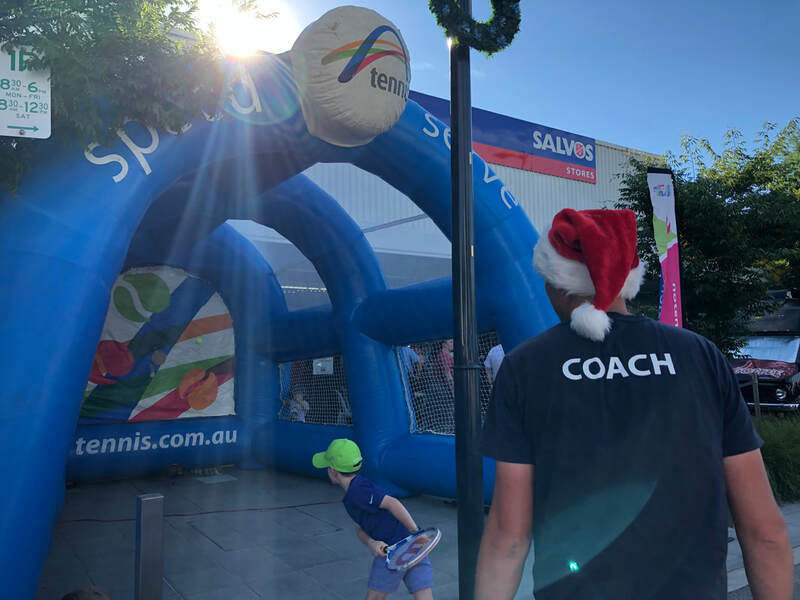 Thankyou to all the coach's and volunteers on the day that helped to make the event successful. 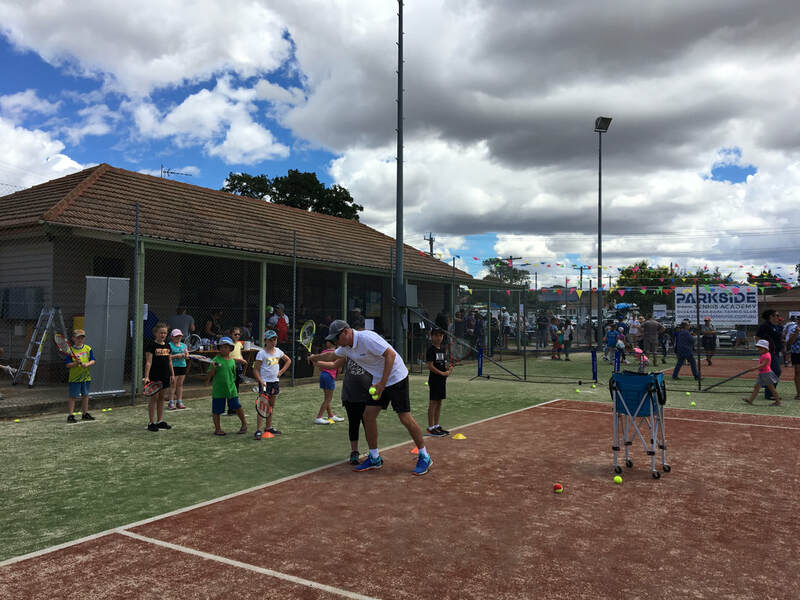 It was great to see so many kids trying tennis for the first time...and loving it! 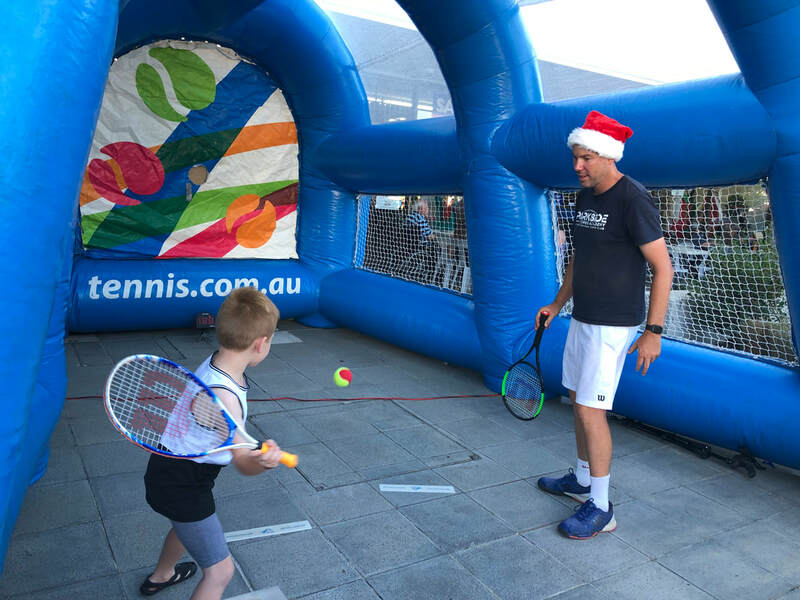 Head Coach Ben running free "mini tennis lessons"
Ben showing how to follow through like Roger! 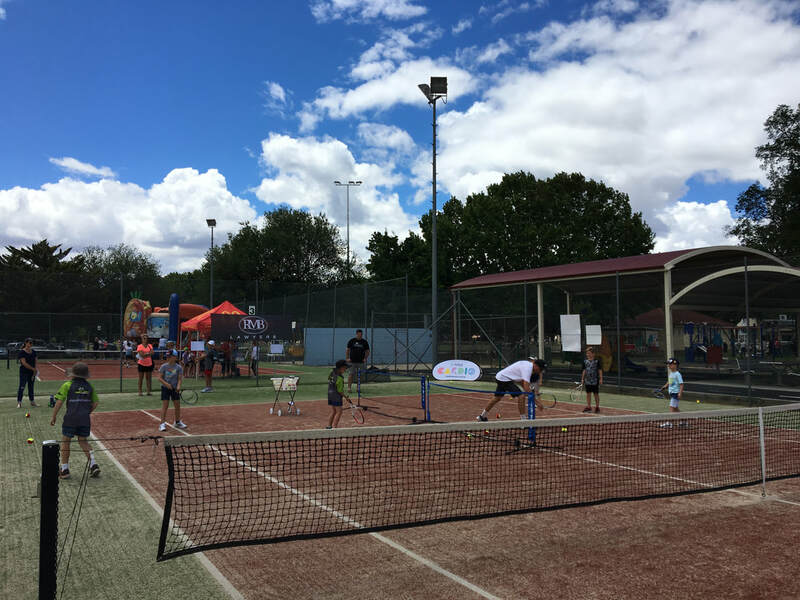 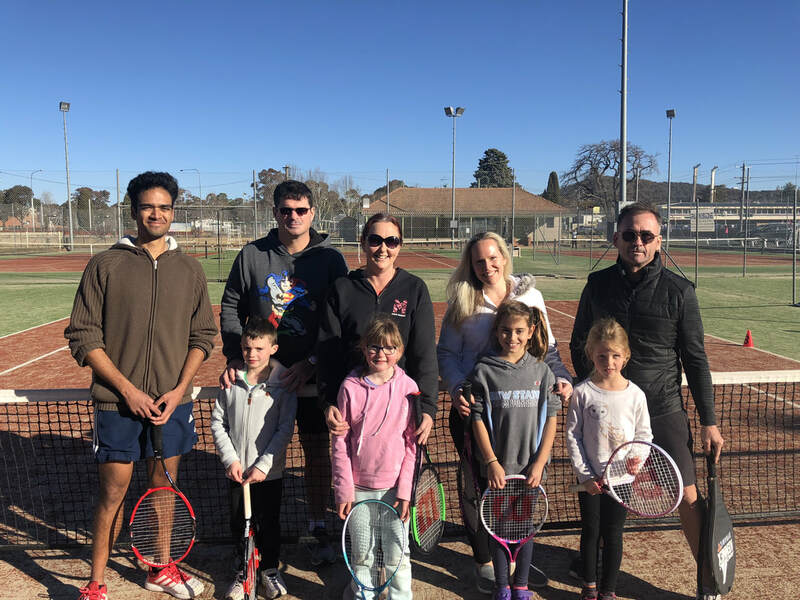 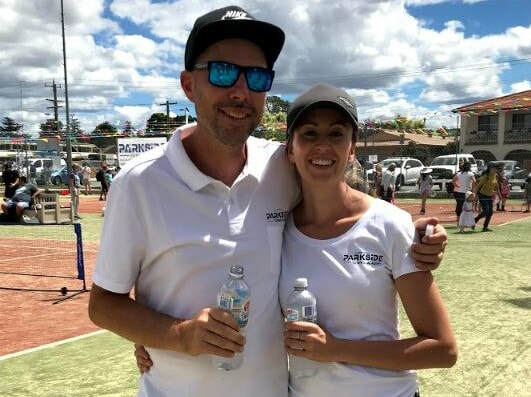 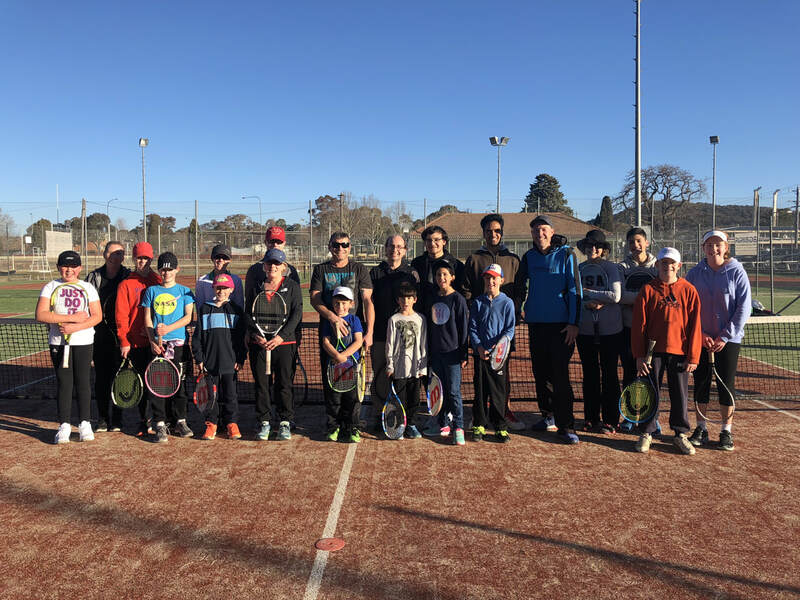 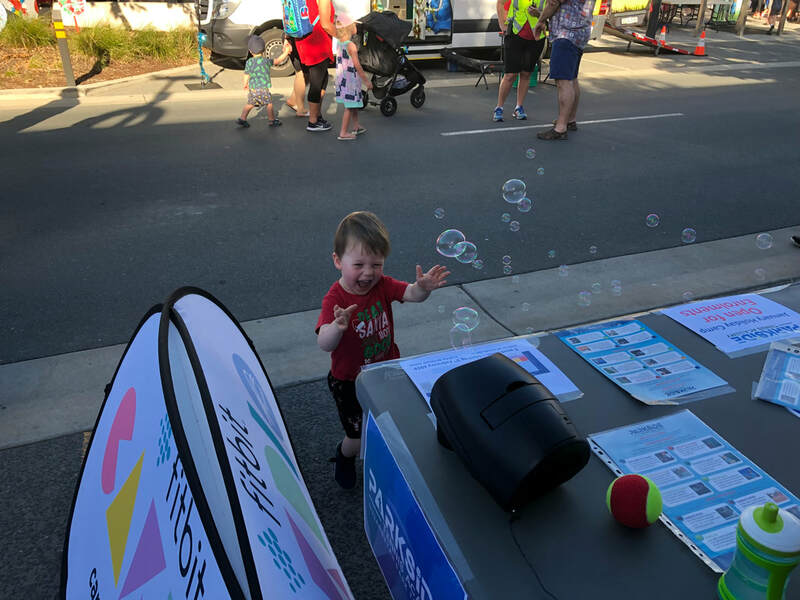 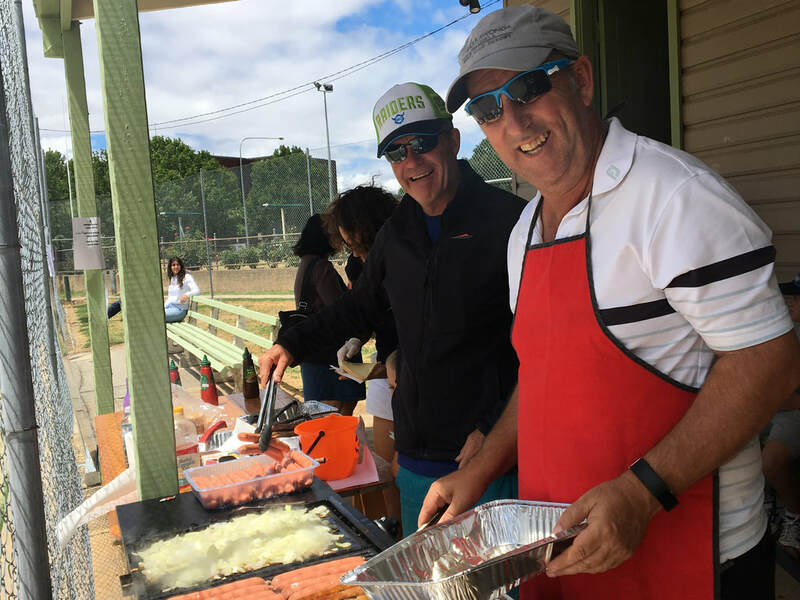 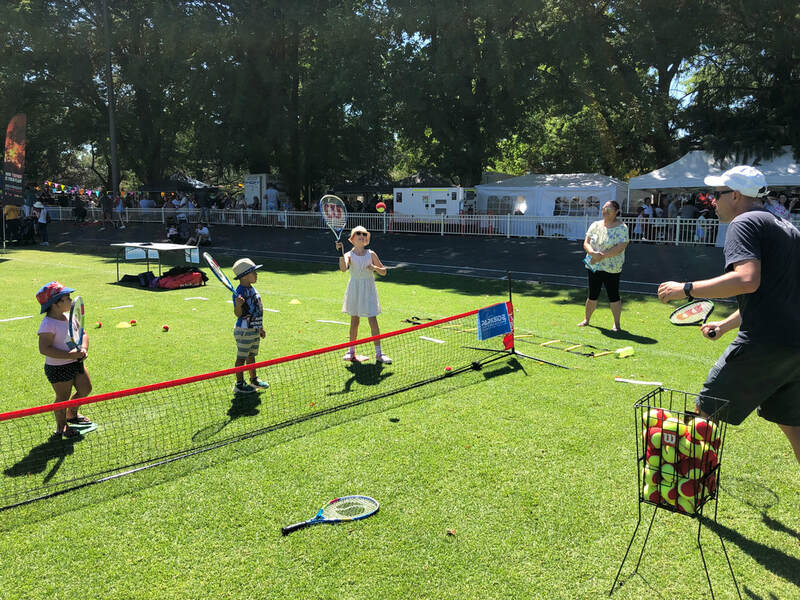 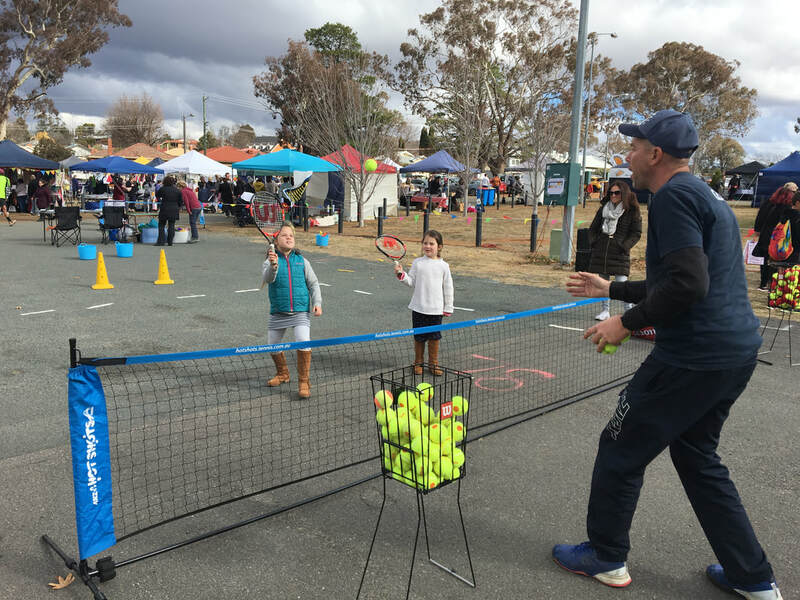 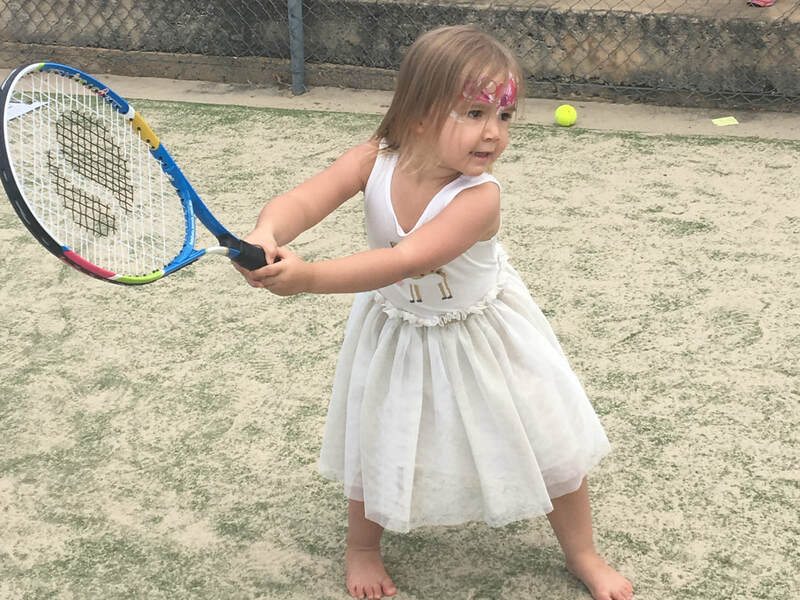 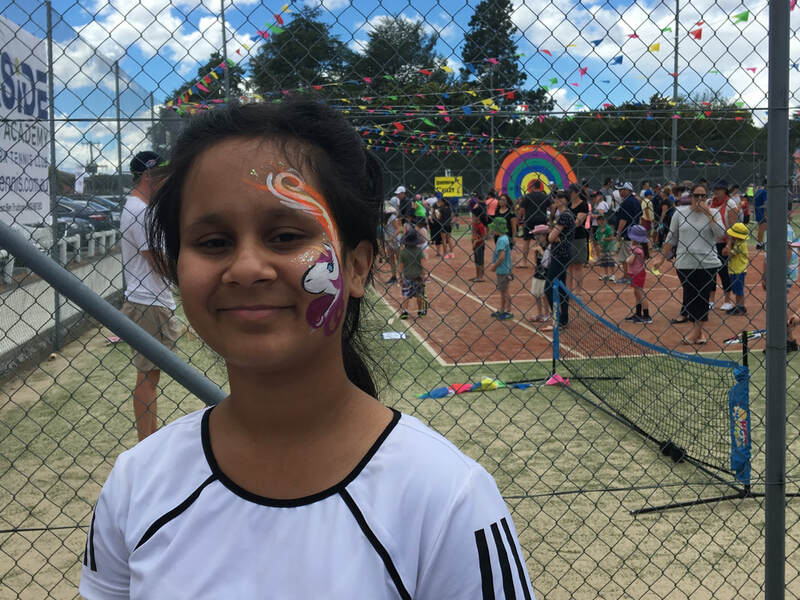 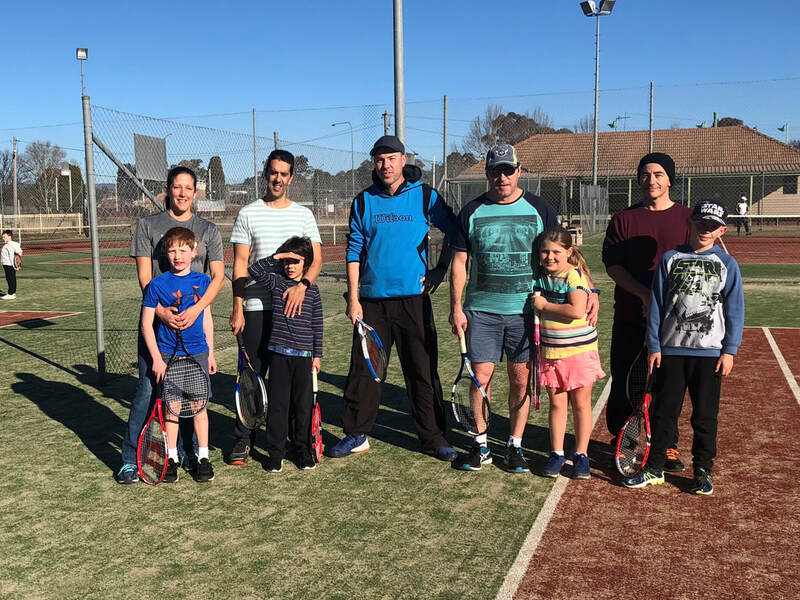 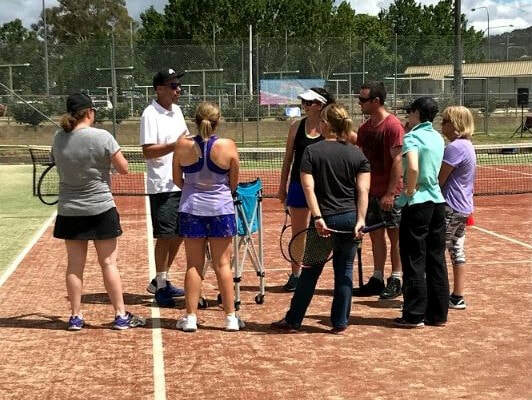 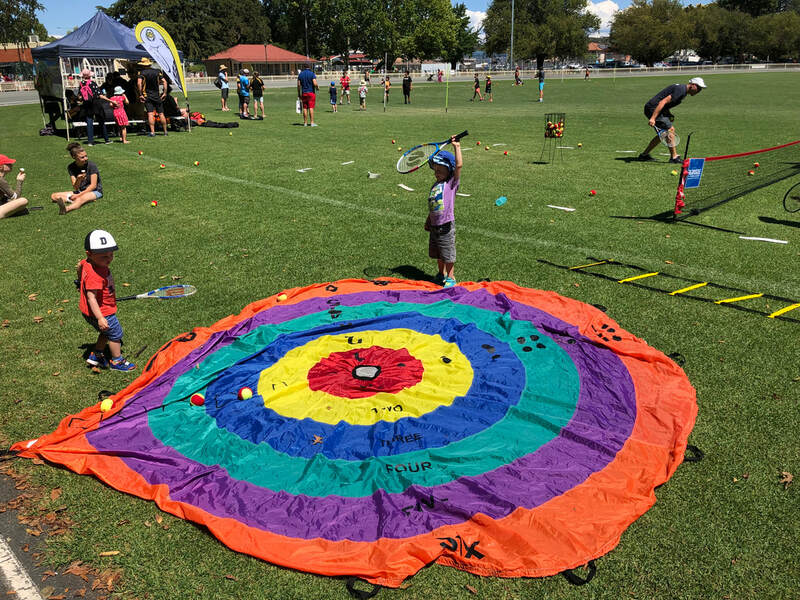 On Saturday the 3rd of February, the Queanbeyan Park Tennis Club and the Parkside Tennis Academy will hosted TENNIS FESTIVAL - a free event featuring a variety of lessons, activities, giveaways and information for the local community. 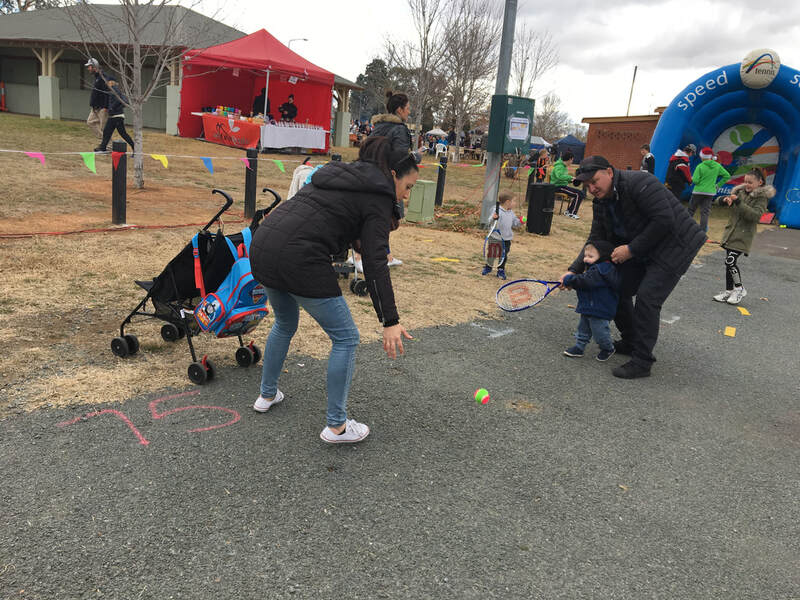 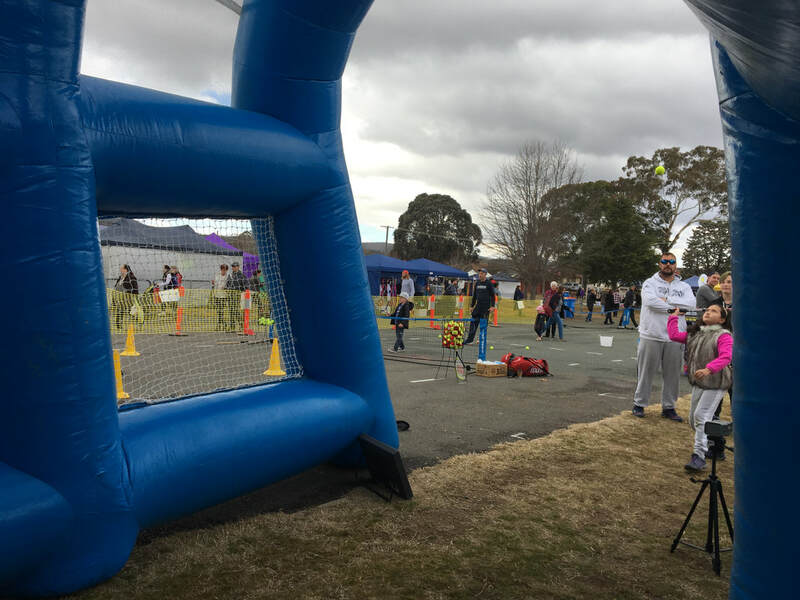 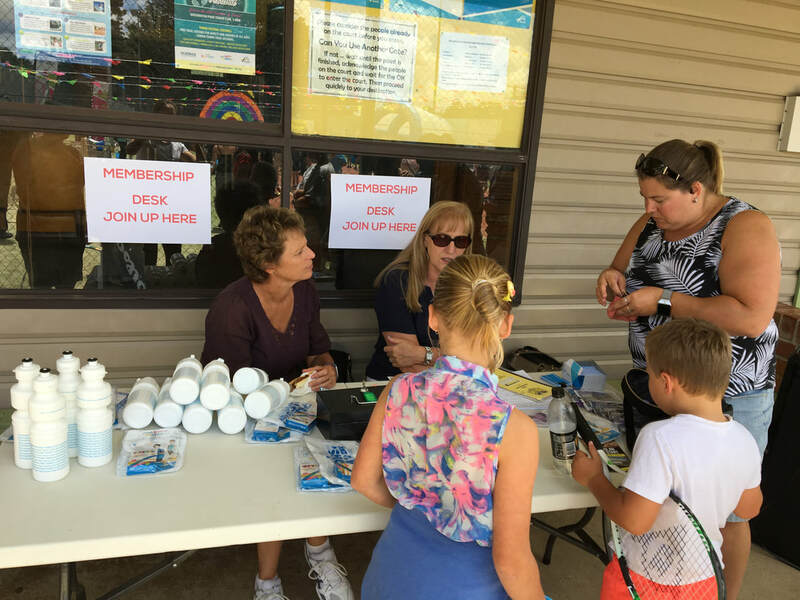 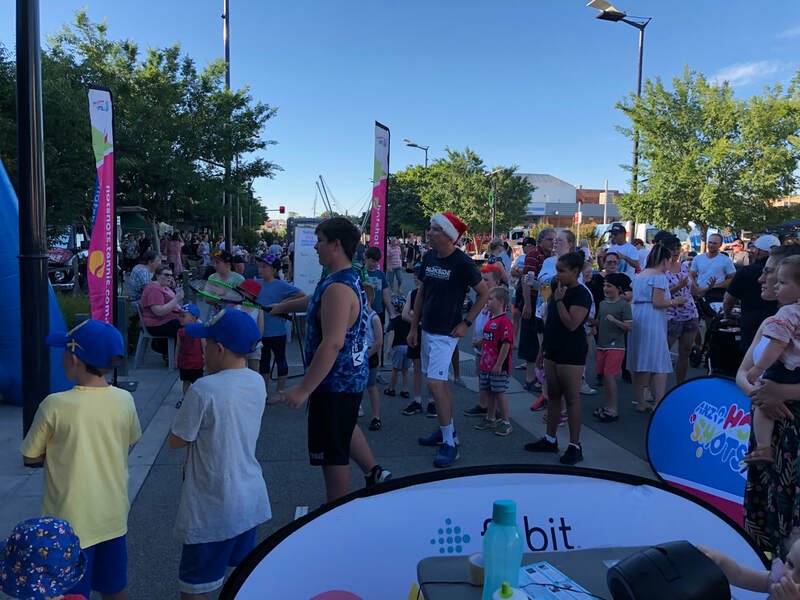 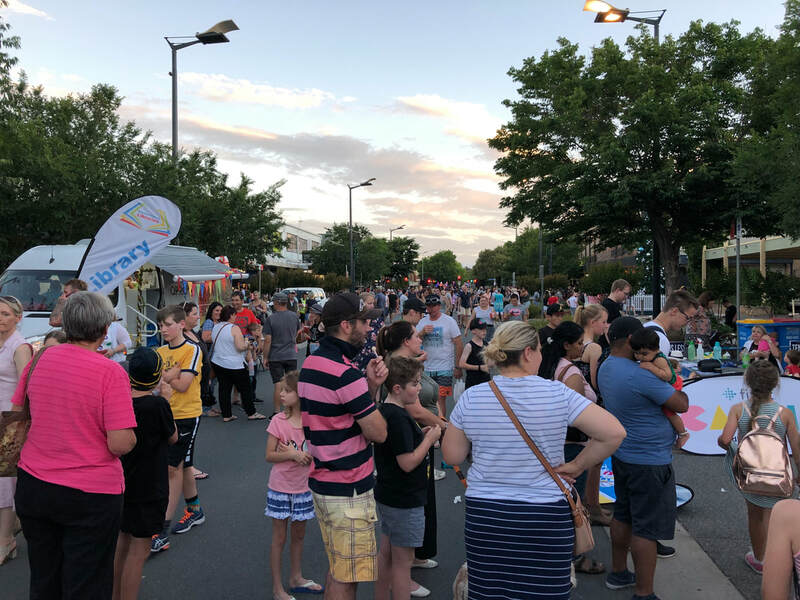 The Festival attracted over 600 people and raised money for a local charity “Home in Queanbeyan” who provide a supportive, loving home for 19 people with chronic mental illness.